First Animal Welfare Bill Signing for 2017! - Maryland Votes for Animals, Inc.
First animal welfare bill signing for 2017! SB790/HB455 is a technical fix to the current animal cruelty law. It requires that deprivations listed as misdemeanors and acts of felony cruelty are listed as separate and distinct crimes. Clarifying that a person who has charge or custody of an animal and who unnecessarily fails to provide the animal with proper air, proper space, proper shelter, or proper protection from the weather is guilty of violating a specified prohibition against abuse or neglect of an animal; and clarifying that a person who intentionally mutilates, intentionally tortures, intentionally cruelly beats, or intentionally cruelly kills an animal is guilty of violating a specified prohibition against aggravated cruelty to animals. 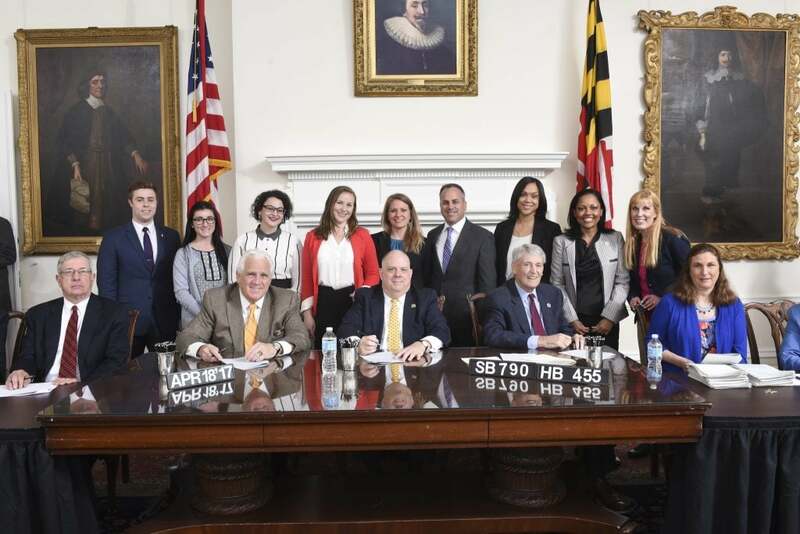 Thank you Delegate Vanessa Atterbeary and Senator William C. Smith for sponsoring legislation to aide prosecutors by cleaning up sections of the animal cruelty code and for the support of the state’s attorneys! And thank you to Governor Larry Hogan for signing this important bill into law! Previous Post:Maryland General Assembly – Sine Done!! !